I took this shot of the Cabrini Shrine on Tuesday afternoon. Check out their hours visiting hours. This Lincoln Park area east of North Clark Street along the lakefront may be my favorite area of the city to hang out. Great bar and restaurant options, beautiful architecture and the lakefront parks. 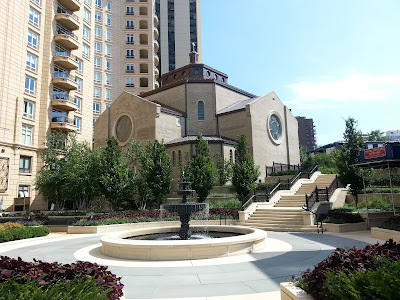 Stop for lunch on Clark then stroll along West Deming Place, St James, Roslyn, Arlington and North Lakeview.